Skype calls are a great way to stay in touch, converse and see our near and dear ones who are miles away from us. You can also use the leading video calling service for your interviews with foreign companies. However, sadly, Skype does not allow you to record your video calls. At times, we do feel like revisiting the unforgettable conversations with our special someone. But you don’t have to worry any more, all thanks to Movavi Screen Recorder. The Movavi product is thoughtfully designed to capture live streaming videos on screen so that you can watch them later in your free time. 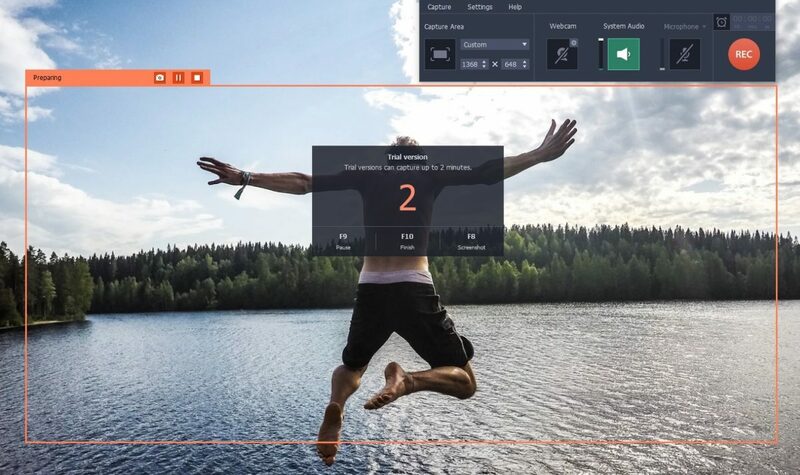 First you will download and install Movavi Screen Recorder is your laptop or PC from where you will make the Skype call. Now, you will set the recording parameters. Take your cursor to Skype window & click to choose it as recording area. To record audio with video, make sure Microphone and System Audio symbols are glowing green. It ensures, the Movavi program will be capturing voice of both parties on the Skype call. If you want to choose audio input decide, click on Microphone icon & select the specific device. Then, it’s time to record the Skype call. Click on REC button & it will continue to record your Skype call. Users will have the ability to control recording process through Stop, Pause and Cancel buttons. In case, you need to trim out unwanted parts, take your marker at the start of the unnecessary part of your video & click on scissors tab. Now, follow the same process by taking your market to the end of that unnecessary segment. Now you have selected the unwanted fragment. Then, simply click on trash can tab to remove the part. Finally click on Save As. If you want to convert the recording into any format, go to top of program window and select a desired format. Then, click on Save button and save the recording. For more precise selection of recording area, you can draw a neat frame over the region that you wish to capture. Do you want to record in full HD? Well, then open Capture Area & select your monitor’s name in Full Screen category. Mac users can do the same with ⌥ ⌘ 1 & ⌥ ⌘ 2 respectively.